Popes controlled cities in the early 1500s. Too many churces made in Italy, and power of churches were in conflict with each other. Construction of important religious civil buildings were important very much. Financing of new streets and alignment wide roads till churches improves because of control of religion. City was called as “the home of christian religion”. For example : Capitoline designed by Michelangelo. This design was in essence under a papal control. We can think that economic and ceremonial sense were undercontrol of churches. Modernizing a city have 3 principal points. Medieval core must be open space and improved. Also residental areas must be in use for a lot of people. Roads and ways must be linked churches, especially linked to great basilicas. Modern palaces blocks guide the city of Italy to make order streets, squares and orthogonal city blocks. Modern palaces were insinuative and adaptable for city, because of standardized design and production of palaces. Pope Paul the Third, ordered the hasty preperation of 3km long professional route within the walls, in 15 weeks the imperial avenue was cleared, leveled, paved in parts, decorated and spent with mock triumphal arches. 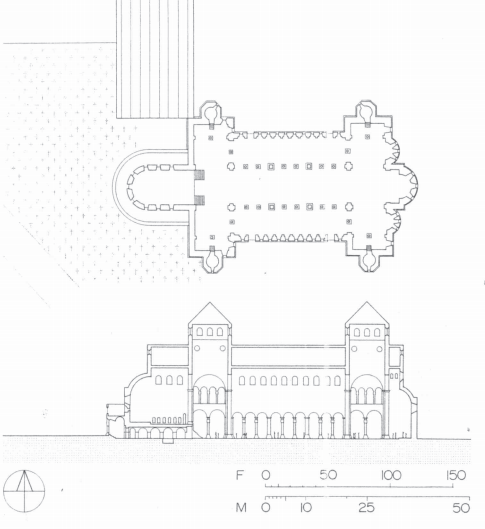 The design solution of Michelangelo of palace is that clotned the two existing palaces and duplicated on the opposite side the acute angle they formed by erecting a third block before the monastry of the Aracoeli, or rather in front of the long flank of its church which faced the open space a stair ramp called the Cordanata negotiated the gentle incline from the city. First the surface of Michelangelo’s Piazza del Campidoglio is convex like a shielter and the pavement inscreeps an oval within the elongated trapezoid of the open space. All the complexes combine a more or less strict axiality with the staged rise of the architecture that moves toward the climax at the summit which is also the end of the axis. The urban stretch ended and gave weigh to the heroic romantism of the ancient ruins. The goal of Renaissance urban design was to create a restful visual order, free of tension or unresolved geometry. The control and perfect stability of the design, would speak of a serene social system, the sublimation of conflict. The Complidoglio upsests this ideal in urban terms, much as the mannerism of Giulio Romano had teased Renaissance reason architecturaly. Dynamism, impetuous reach, sensate passage through space the illusionism of theater, sculpture or monumental props motivates and devices of the city’s planners from a point on. 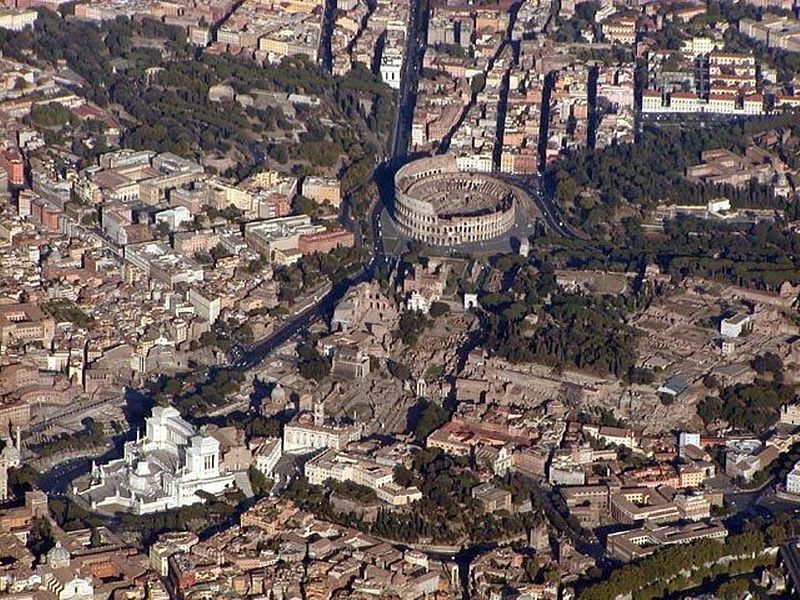 Pope Sixtus V took the entire city and its extramural periphery as his canvas and wit a broad brush imposed upon it breathtaking avenues that rushed across the empty spaces of the eastern hills and inward to the edges of the built up the core. Each one of these long ribbons of road was suspended between two points of interest. The avowed object was to expedite Christian worship and specifically the pilgrim’s penitential round among the seven principal churches. By the years of 1510, there is a place called Goa which is located in the western India. At those times, Portuguese trying to become a colonized civilization and when they landed on India in colony purposes, they shocked as well as I understand. They saw amazingly different architecture in there, which is quite normal actually but they shocked as I mentioned. Portuguese built often churches right nearby Indian temples. In those times, nobody find these thing strange. With these kind of actions, Portuguese degenerete Indians, as well as they degenerete their architecture also. By the end of 16th century, Goa looks alike Lisbon so much. For an example, in the late 6th century, in Indian castles, they use a lot of grid structures and bastioned walls. But like in 17th century, their architecture looks very much like of Gothic architecture, they orienting structures with local vegetation that is growing nearby, eagles or something like those things. So in summary, the colonization struggle of Portuguese influenced the architecture of Indians well. Maya’s located in today’s eastern Mexico, Guatemala, San Salvador and Honduras. Maya architecture’s contours drawn sharply. Monuments of town mostly like, pyramid-like temples, ball courts and palaces that are covered with stone. Their normal daily public’s houses was like, windowless, one floored and sometimes a platform that is located top on those houses. With those, the houses are not proper for the residental functions. Sometimes, they built series of courts but they still conserve fully closed enclosure idea. Their construction processes generally quite distinctive. Usually they preserve the the post and lintel conditions. The scarcity of silver and gold, was Aztecs luck. That was what discourages the Spanish sailors. That is why they could save their own architectural and cultural styles because they could not effected from Spanish discoverers. They were active in the Cuzco since 13th century. So, Cuzco and Sacsahuaman polished mansories are visible so they used this mansory on their pyramids and some of them even was like 100 tons. He was also mentioning about this famous temple, which has a plan of a normal house, with rectangular shaped rooms and encloser walls. It was made for to called “house of God” with goldens and it was a new religious architecture of America. After the fall of Granada, the Muslim culture in Spain increased itself in high manner. V.King Charles built a cathedral in the middle of Muslims. This new church orientated with the motifs of Gothic and classical. Name of this pattern is : Ionic. In the late 1500’s, Spain became a language of the Gothic architecture. In those times, Italy was the boss of Europe and 16th century was a critical period for the transitions. Old habits are dying in construction traditions also. With these, churches became the centers of Gothic architecture. And the new era of architecture with these begins in Florance. Beginning of the 15th century, nobility class supports the Brunelleschi and the buildings were become to the generating force of an international movement. A man known as Leon Battista Alberti as known as “universal man”. He is a professional in the usage of the proportions and details and he made The Palozzo Rucellai. In every three floor, he used Doric, Ionic and Corinthian Pillors architecture. Brunelleschi is a great substitute for the Gothic design. Gothic architecture forms in an abstract dimension among all. The topic that is discussed in Ten Books on Architecture is town planning is an old system but it is an example of the old system in good manner, so it represents a beneficial style for it and enthusiasts people. Following report is about the Urbanization period of Europe which they did a graze from Dark Age in 12th and 13th century. In 12th Century, with the period which basis on Christianism and Byzantium traditions, Rome has the partiarchic revolution had in there. With those, Franks, who were just a basic tribal country (not sure if we can mention about the country concept) not that far, a couple years ago, conserved themselves from these revolutions with religious reforms. Exact those times, there were a society rising through from all, who were declining the church. These people were mostly merchants so they were interested in trade commercial structures like market buildings, stores, shops and in addition to that, these structures were forming the shapes of the public areas of course. 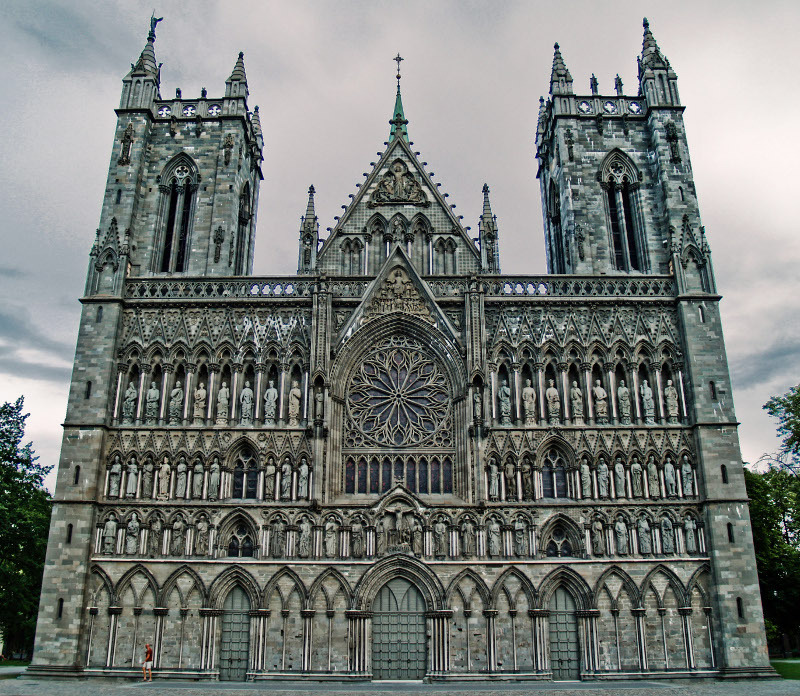 Gothic architecture which is mentioned in text, were in a significant effect in old towns. A lot of parts were just a copy from Romans and Germans. What we can understand from that information is, Romans were influenced Europe, old towns so much with its legacy. These Roman influenced cities were a safe guardian of the plebians (lower class in hierarchy). With that, protection of people became an crucial concern in design so they had their cities in circular forms to become more suitable from all, with that, there is a opportunity of natural growing of city had been created at all. The text of Birth Of The Nations : Europe After Charles includes the Carolingian architecture, the period of Romanesque and couple of times Otto or we can say in short, this chapter is about Byzantine Empire and Endülüs. Endülüs (Andalusia) affected by Islam in Islamic Revolution and Abbasians times. But like I said, beginning should be the Carolingian architecture that I mentioned above. The flow from Carolingian to Romanesque was in optimum. It was not in sharp moves or not in continuous way. So what we can obtain from here is that, Carolingian style is a cause for Romanesque style to emerge. In the period of Carolingian, building of religious and defense structures were posing importance. We can mention about the “central plan” theme that is a distinctive element of Carolingian architecture. Because before that, Carolingians were not literally nice because of political and social occasions. While in that period, again, basilicas used as one of the main elements of architectural style. In Otto, more fascinating cathedrals were builded like Gernrode which is one of the either the most archaic and most dramatic cathedral of all. By those times, approximately like all architecture styles that is going on in planet Earth was related with religion, same as the Romanesque style. With the information above the religious buildings such as churches and cathedrals were studied in those times. Although the differentiation of the following cultures, this period also affected by some cultures such as the Byzantines, the Muslims. Rome was definitely the ‘capital of the world’ in ancient times. Rome was the homeland of countless artists and also architects and has an impressive collection of paintings, mosaics, fountains and of course art of different times like, Bernini, Caravaggio, Borromini. As for architecture, Roman monuments of ancient times were characteristic. Roman architecture has a lot of significant architectural creations that are characteristic. 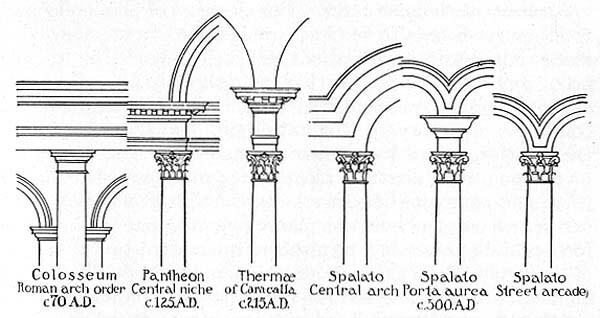 Like arch forms of Roman’s and these kind of architectural elements were used in constancy manner all the time. The elements that are used in buildings such as openings, wet areas, decks were the forms that we can observe. Also it is actually pretty important that, which material they used in the buildings. The common material for construction were stone but the concrete were also used rarely in those times. For the understanding the soul of the Roman architecture, we need to check the characteristic Roman buildings which are located in Rome and Pompeii which were the two important culture centers of those times. Like in every civilization, Romans have their hierarchy also. There were the clientage system that is based on actually clients and society were divided by two. Poor was really poor, rich was really rich. The gap between the rich and poor were amazing. So, architecture is a reflection of society, culture and the perception like for whole time. If there is such a gap between those classes, it should of course have an impact on architecture. In that part, the Roman high-class people owned houses called Domus. In domus, there are meeting halls, public spaces called atriums, gardens back in houses called peristyles and the working offices called tricliniums. These things are basically the basis of Roman architecture. I visited the Museum of Anatolian Civilizations. In the museum, there were many pieces that is belong to very old ages. There were sections divided the museum like, paleolithic age, neolithic age, bronze age, Hittites, Phrygians and the artifacts in Ankara in the bottom floor. All the pieces that are exhibiting in there were awesome. Especially the Ankara part interested me because the parts were showing the Hacılar, Gölbaşı and Haymana artifacts and I am living in Gölbaşı so the idea that ‘there were a civilization about 3 km far from my house like 5000 years ago’ making me curious about the rest. Definitely worth to visit.